Relentless Financial Improvement: Are you saving money on your car insurance? If you currently drive, you need and probably have car insurance. When was the last time you called your insurance company to see if you could get a rate decrease? When was the last time you shopped around for better rates? I imagine most people just receive their bill monthly, and pay for it without giving their rate a second thought. Around this time last year, I needed to add my wife to my insurance policy. This is when I discovered that adding my wife to my policy didn’t save us any money. My family had maxed out on all available discounts, including the multi driver discount. I reached out to several competing insurance companies to get new quotes and found out that switching insurance companies would save us a considerable amount of money: $570.70 per 6 months, or $95.11 a month. Calling several companies helped me make sure I was getting the most value for my money. Many companies offer similar rates, some offer rates much more expensive, and some much cheaper. In the end, it was Geico that we switched to. We’ve been very happy with them over the last year and have stayed with them for 2 six month periods (each policy runs 6 months). I'm always looking for ways to earn or save more money. This year, I once again picked up my phone and made several phone calls. Each quote took about 15 to 30 minutes. While a customer service rep will give you an initial quote, it may not be the final cost of your auto insurance. You will only get an exact cost of your insurance once you provide the company with your vehicle identification number (VIN) and your driver’s license number. Of course, any traffic violations or accidents on record will affect your final rate. Once again, our current rates at Geico were unbeatable. Previously, we have been paying for comprehensive and collision insurance deductibles of $500. This year, I decided to increase the deductible to $1,000. This saved us $32.70 per 6 months. Although this is definitely a risk if we get into an accident, we drive so little that I think it’s worth the risk. Also, once you start really saving up a considerable amount of money, you can “self insure” these things. I’m not sure how it works with other insurance companies, but with Geico, if you choose to pay your bill in monthly payments, they will charge you a $5 payment processing fee. There’s no point paying $30 worth of fees every 6 months, so I always recommend paying for your entire policy up front. Also, I like to pay my bills whenever I receive them, so I don’t have to worry about them later. This pays if we are responsible for another person’s injury / death in an auto accident. It also pays for our legal defense. This pays if we are responsible for damage to another person’s property. It also pays for our legal defense. This will pay for any of our injuries caused by an uninsured / underinsured motorist. This pays for damage to our vehicles not caused by collision like theft, vandalism, explosion, flood, and fire. This pays for damages to our vehicles caused by collision. We have declined other services such as: Uninsured Motorist Property Damage, Emergency Road Service, Rental Reimbursement, and Mechanical Breakdown insurance. Currently we don’t drive very often, and our work commute(s) are only 10-15 minutes. I only drive to the office 3 days a week, the other 2 days I bike. Again, we’ve decided to “self insure” for these services to save more money. We have also signed up for a personal umbrella policy, which offers protection above and beyond our auto and homeowners policies. In the event that we get into a car accident and get sued, our auto policy only covers up to a certain point. After that, our umbrella policy will kick in and protect us for an additional amount, in our case $1 million dollars each. This is just added protection, and at less than $200 a year, is fairly inexpensive for this coverage to protect our financial security. You can read more about why an umbrella policy may be right for you and your family here. It’s January. This is your reminder. A 15 minute phone call to various auto insurance agencies can truly save you 15% or more (much more) on your car insurance. 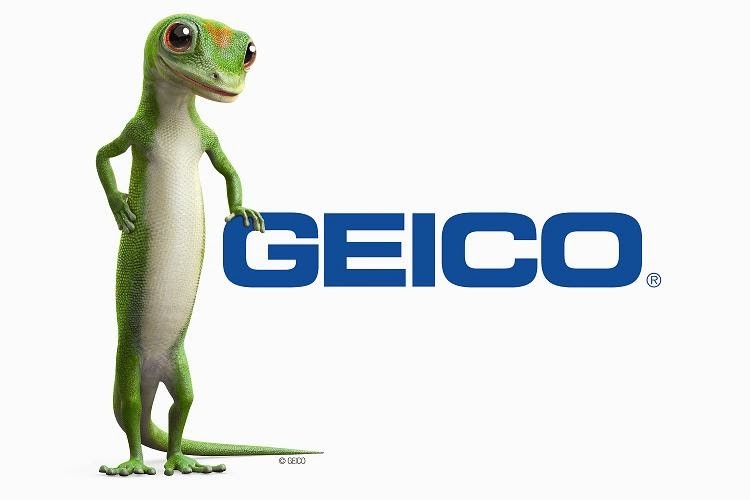 Disclaimer: I have no affiliation with Geico. Their rates and service fit my price best. You may have better success with switching to other insurance companies.